:UPDATE: Work on the irrigation system will continue through the end of September, which will require portions of the park to remain closed. The parking lot, restrooms and tennis courts will be open during this portion of the project. Please obey all park signage and avoid construction areas during this time. UPDATE 7/1/17 You see now the sign is down, but of course we do not know why. Perhaps a park users act of frustration which does not help in any way. Maybe makani offering a “sign?” to ask for clarification? UPDATE 6/29/17. This sign appeared on edge of parkland at parking lot yesterday. How do you interpret that? Is entire park closed for about five weeks? Some say yes- some say no.No press release from County. Messages left at posted number 270-7230 requesting clarification get no response. Negative seems to be the word. Think of all the County Parks you visit. Which one has the best lawn, best grass? 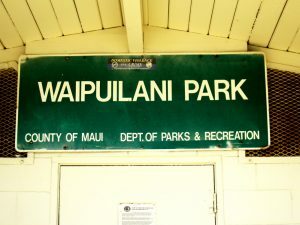 Did you say Waipuilani Park in North Kihei? Many guys do. It is so well-kept that you may think it a private area because of the condition and the location: ocean front makai the Maui Sunset Condo on South Kihei Road. Nope. County parkland. County sign, parking lot, restrooms, tennis courts. So why and how does the County Parks and Recreation Department keep this park’s lawn so much better than almost any other.? AHA! They don’t maintain it. See, at NO CHARGE to taxpayers the condo association has maintained it for decades. Yeah, but they must use a huge amount of county water to keep it so well. NOPE, they use their own well for irrigation. So all of us park users get arguably the best kept park lawn for recreation, whether running, doing yoga, hula (dancing or with a hoop), dog play, Frisbee (human or canine), walking (barefoot?) or just sitting and enjoying the oceanfront view, sunset or any time. And we taxpayers do not pay for it. Sound “broken” to you? Not to us either. So we ask why is this County department proposing to close the entire park on July 5 for almost two months to replace this free irrigation system, replace all the grass, and apparently take over the free lawn maintenance at taxpayer expense, initially spending over half a million dollars? Did you see the county press release announcing and explaining this? No, we didn’t either. Attend the public meeting announcing this? Nope, must have missed that too. So we have done some investigating and we believe it stems from wanting to use county furnished R-1 recycled water (which currently goes into an injection well due to insufficient demand). You know we have a reputation as a strong environmental organization, and have long supported using R-1 water for irrigation, and we remember and reported when Goodfellow Brothers ran the purple pipes down Waipuilani from Liloa and across the mauka edge of the park northward. So is it better to switch from free slightly brackish well water to R-1? If so, is it better to remove a functioning irrigation system that is maintained at no taxpayer cost with a replacement for half a mil? Say WHAT!?! We are calling for a halt to this project and for a community meeting in the area. After a grueling months-long County Council Budget Committee session hearing about how tight money was and cutting programs, how does this proposed expenditure fit? Like a square peg in a round hole. Call the mayor 270-7855. Call the Parks Director 270-7230. Call your friends and tell them to call. This video from Maui Sunset provides nice aerial views of the park. 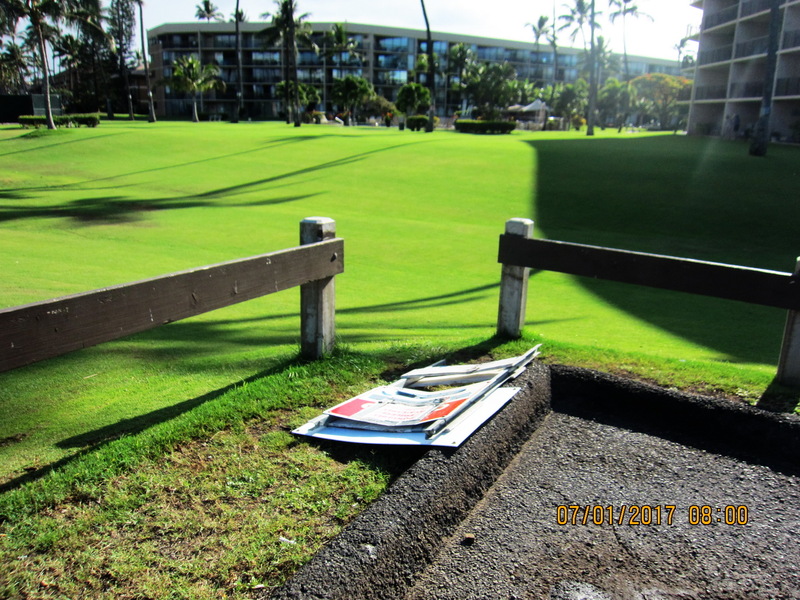 Wow….hopefully there’s more to this story from the county side.That lawn in front of Maui Sunset is a treasure. Please bring up all the dogs that run loose without leashes while you’re at it. A lot of people call it the dog park..??? You got it Mike. 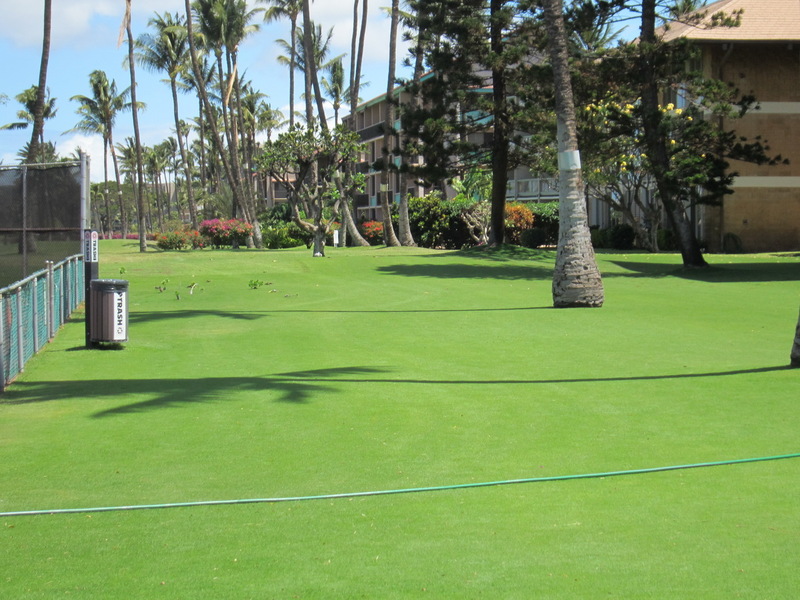 Maui Sunset has the best lawn on Maui, like a putting green. The county would surely turn it into crap, at taxpayer expense. I live right next door, at Waipuilani Condo, the one with the burned out grass. That’s ’cause the county told us to stop taking care of that part because they want to do it. So it languishes and turns to crap. They can’t even seem to trim the palm trees and remove dangerous coconuts in a timely fashion. I just don’t understand government bureaucracies and how they reason. island? If it is properly filtered, this could help our island tremendously! Thank you! Please share with the community to call the Mayor’s office to save the park. Waipuilani park is a gem that deserves more notice and discussion before literally ripping it apart. 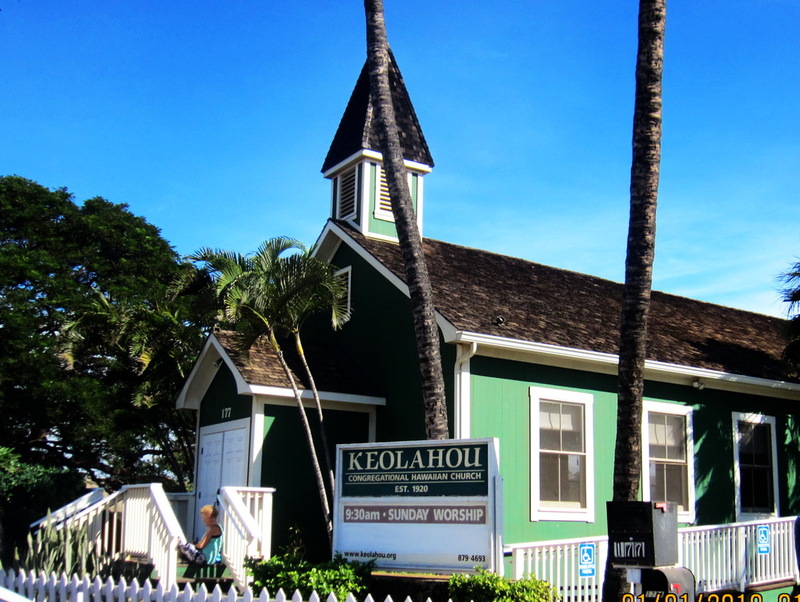 It’s not just tourists…its also Maui residents that gather with family after a reunion at the VFW, who walk their dogs, do Acro Yoga, and attend the nightly AA meeting. Weddings and informal events are hosted each Summer at the park. Lets make a plan that works for the entire community. Let me add my voice in opposition to this ill conceived plan to, in effect, destroy the beautiful grass in the park. Where is the common sense? There are many other uses for this kind of money in the other parks and public places in the county. Obviously this is a terrible waste of the taxpayer’s money! 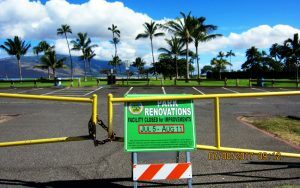 I pay my way at Maui Sunset, and have since 1982, and I certainly approve of us helping the local citizens (taxpayers) by keeping up this beautiful park. 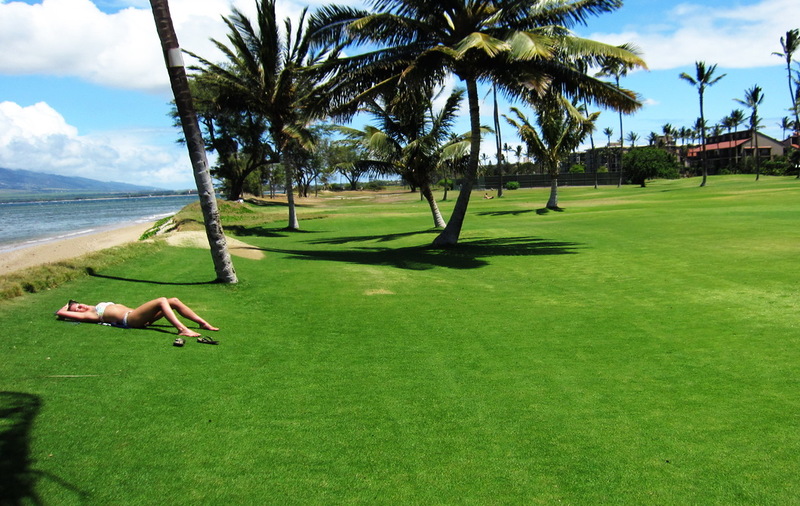 One of the things we love about our Condo is our beautiful grass beach area. We have been enjoying this for over 24 years. Our Children and their children have loved it. We always enjoy meeting others enjoying it as well. It seem ridiculous to spend tax money on something that has proven to be successful with out it for such a long time. This is irresponsible government spending. Please leave things they way they are and save the taxpayers unnecessary spending. Am apposed to the project. use the $ for something more pressing. I called the Mayor’s office and left my opinion of opposition to this waste of money. The Mayor’s EA probably it take down a word! Email the Mayor at mayors.office@co.maui.hi.us. Then it is in writing if she doesn’t care! She would not give me the name of the Director of Parks & Recreation or his email! She said she would transfer me to Don Couch who is the EA now to the Parks Director! (He was a former Council member.). If Maui would spend more time engaging the community, and less time & $$ covering up their own shortcomings & problems – we would be ahead. Sonny, the fellow who has overseen the Waipuilani Park grass for probably more than 20 years, is so proud of that grass it is like one of his kids! I own property across the street the park, and have had the pleasure of watching Sonny manicure that park for a very long time. Please email the Director, Mayor, and cc in the County Council! I bought may unit at Maui Sunset in 1979 and one of the reasons was because of the wounderful grounds around it which included Waipuilani Park. I have always watched the people from Maui sunset doing the maintenance so thought it belonged to the Maui Sunset. I have watched meany sunsets while siting on that lawn would sure hate to have it go away. 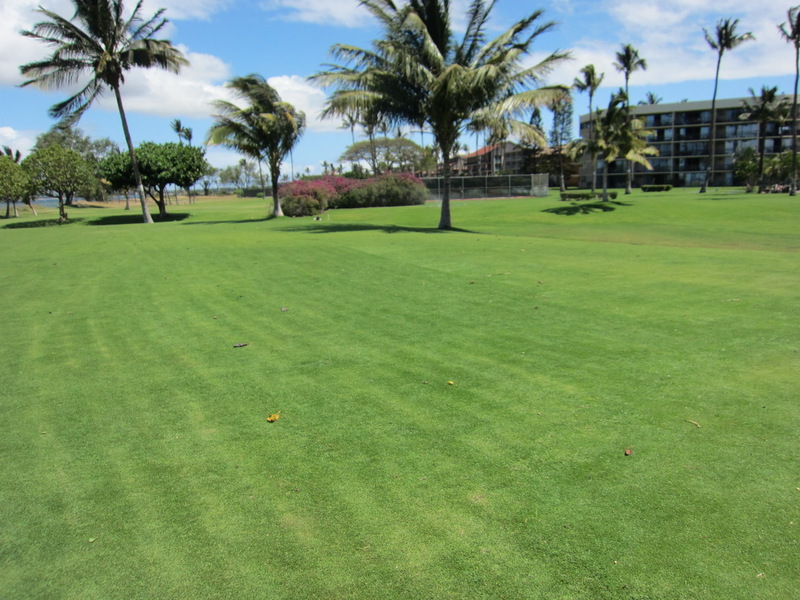 Without the lawn there the value of the units in the Maui Sunset would be decreased. So my vote would be to have the county leave the lawn alone please!! This post gives the impression that maintaining Waipuilani Park is only a Maui Sunset issue. It is not. Maui Sunset fronts on only about 520 feet of the park, which stretches over 2300 feet north from where Waipuilani Rd meets the shore. Also fronting Waipuilani Park are the Waipuilani, Leinaala, Maui Schooner, Luana Kai, and Kauhale Makai condominiums, and two private residence parcels. All of these entities have an interest in what happens to the park. When these condominiums were built in the 1970s and 1980s, The land between them and the shore was owned by the State of Hawaii as a beach reserve. 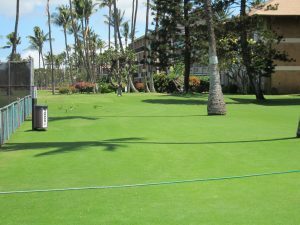 The various condos had agreements with the State to maintain the portions of the reserve fronting them by watering and mowing. As the condos were built, improvements were made to the reserve in the form of tennis, volleyball, and shuffleboard courts, all open to the general public. 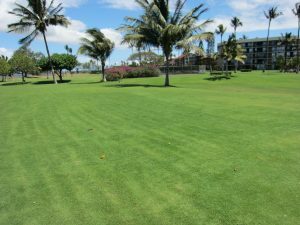 At some point in time, the reserve was transferred to the control of Maui County, and it continued to be maintained (watered and mowed) by the adjacent condo associations. From what I read in this post, Maui Sunset has been watering its adjacent portion of the park with well water, and is happy with the result. 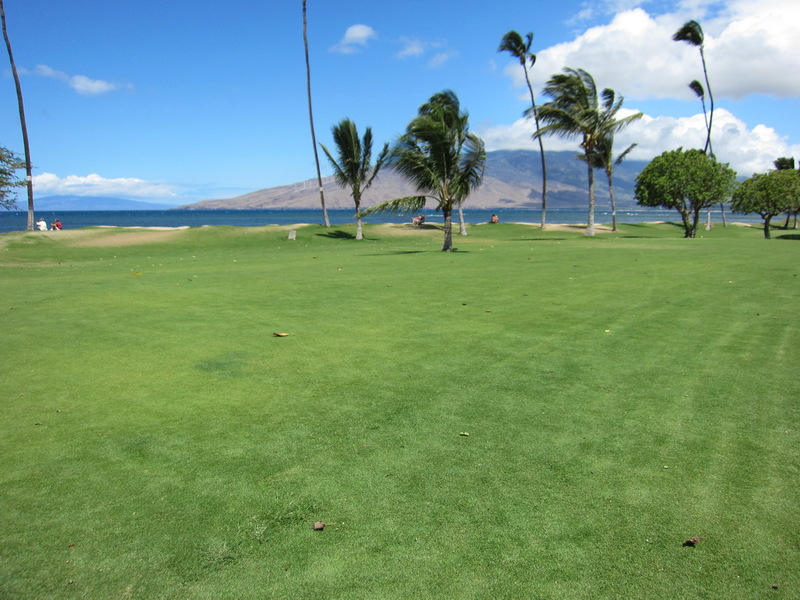 Kauhale Makai tried the same for a while, but the water was too brackish, and damaging to the lawn and trees. Currently, Kauhale Makai waters its section of the park with potable water paid for with its meters. Having the park watered instead with R-1 water makes good sense. Let’s stop talking about this as only a Maui Sunset issue. Maui County has taken a big step in making R-1 water available for maintaining Waipuilani Park. Shutting down these plans might work for Maui Sunset, but it does not work for the rest of its neighbors. 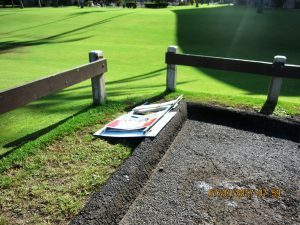 Maui County has installed a R-1 water main up the full length of Waipuilani Park. Let’s use it. It is County land, with R-1 ready for use. Let’s use it. This is a public county park, not a private facility, and we believe it is up to the voting public to decide what is done here. Thus one of objections is the county administration only offered a press release (pr) on the plans to some of the near by property owners, not to the general public, as is the county’s policy for PR’s. Agree this is not even just a condo frontage issue but a county issue. 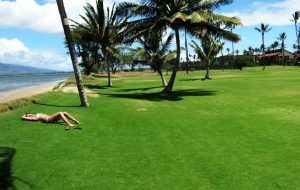 I love this beautiful grass setting where there is yoga, tightrope walking, dogs and people playing frisbee, soccer games, AA meetings, weddings, anniversary celebrations, celebrations of life, picnics, toddlers rolling, sunset and whale watching, and every kind of human playful activity you can name. If the grass is not watered during this wasted activity in removing a perfectly functioning sprinkler system and replacing it with a new one at taxpayer expense, the grass will die. Then what….Maui crab grass? All this playful activity will come to a halt…….craziness……as crazy as putting the R1 water where it will seep into the ocean…..I have called the Mayor’s office but will email again. Parks board has dug in their heels…..email the Mayor as he is the only one who can stop the insanity. 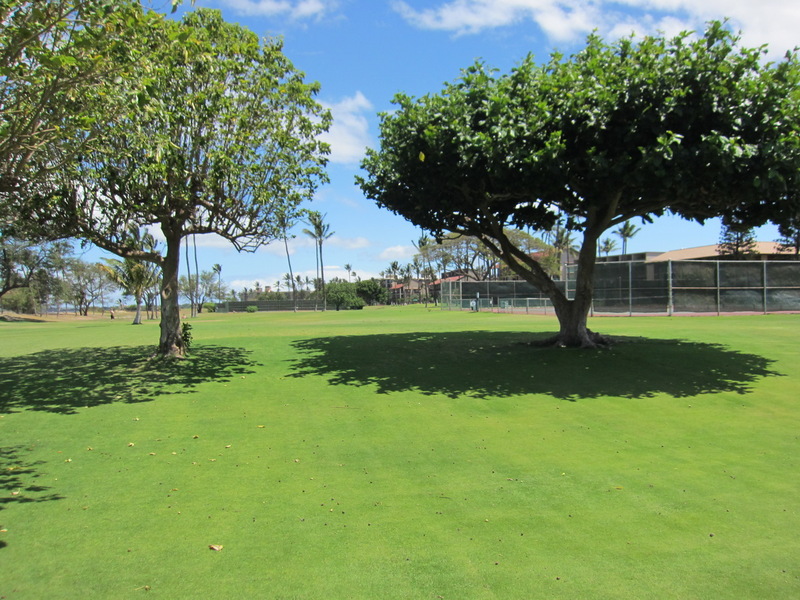 I am in favor of the R-1 water infrastructure completion for Waipuilani Park. The homeowners at Kauhale Makai and other properties along S. Kihei Road have been paying to water and maintain our portion of the park for decades. We are now mandated to water only our own property with R-1 water and we will not be allowed to water the park. Unless the County completes the project, this portion of the park will return to scrub land. While we understand Maui Sunset’s unique position, I urge others to consider the other properties along this stretch of parkland. Converting to R-1 water and having the County assume responsibility for it’s own land is the right thing to do. Very well stated and logical Paula. Mahalo. Again, KCA supports use of R-1 water for irrigation.. You state it correctly in our point of view; Maui Sunset’s (MS) unique position. KCA had asked if it was possible to just bypass MS & do all the other locations? 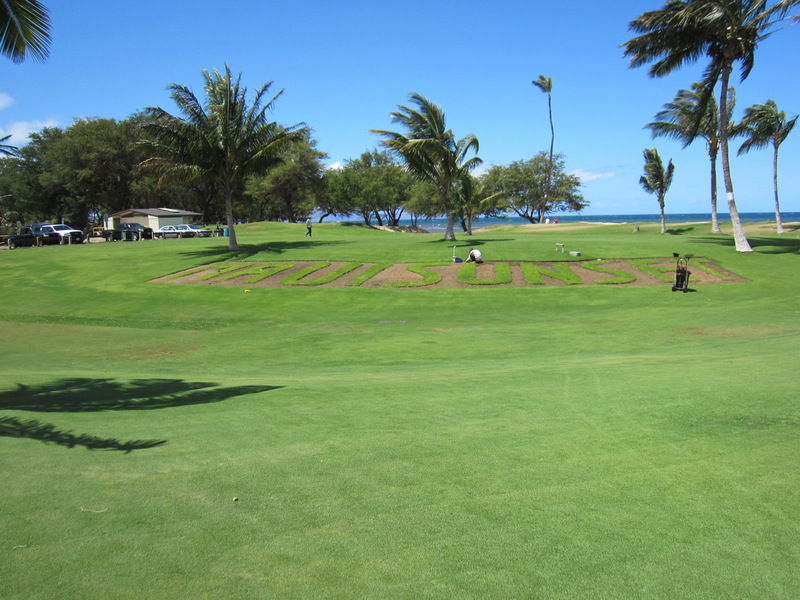 possible to hook up the R-1 to Maui Sunset as additional source of irrigation, so either could be used. Any compromise or modification at all? Try to find a win-win. We still have hope. Agree with Paula. Maui Sunset has a well, none of the other condos at the Park do. Other condos have paid to water the Park at their expense for the last 40 years. Maui Sunset does not pay for watering their lawn. Maui regular water is very expensive, so theR1 water is the best for us. 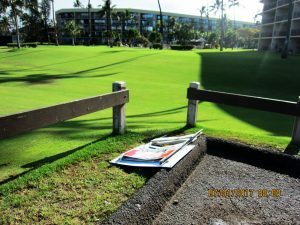 The Waipuilani Condos have already converted to R1 water for their irrigation needs, while Maui Sunset continues to fight it. Like Paula said, without the R1 water the rest of the Park with the exception of Maui Sunset will turn to scrub and sand without the R1 water irrigation system. Mahalo, David. We feel that this has become an excellent forum for all points of view, which is what a community is all about. While you state “none of the other condos” has a well, we have been advised that some do, and some that did use them had wells become too salty to use practically. We do not have the answer, so just inquire. 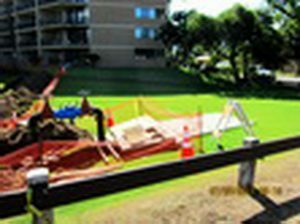 Can you or anyone who has the knowledge advise when park adjoining condos switched or will switch to R-1 Water, are existing irrigation systems used with just a new source of (R-1) water, or are entirely new systems installed too? We seem to get mixed messages on his aspect as well. Mahalo. Aloha Mike and David, Thank you for providing this forum to exchange information. 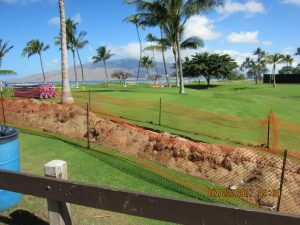 At Kauhale Makai, we will have to put in an entirely new system to accommodate R-1 water because the lines have to be separate from the potable water lines. In addition, a separate potable water back-up system for irrigation must be designed and implemented in the event that R-1water is not available. (This information was published in the CCM Newsletter December 2015.) Kauhale Makai used to have a well, but the water is not suitable anymore for irrigation as it is too brackish. Thank you Paula and Mike. I am the Treasurer at the Waipuilani and we were the first to install the R1 water on our property in March 2016. I understand Leilaana has also installed or in the process of installing. 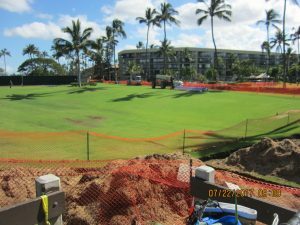 I also understand Maui Sunsets concerns and costs related to installing R1 irrigation, but they do not appear concerned with the rest of the park. Why have only 250 ft of the park be green while the rest goes brown. 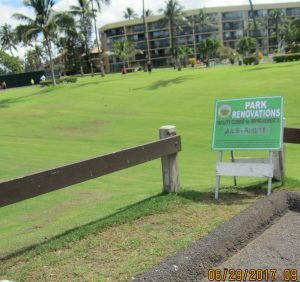 The entire park won’t be closed down when Maui County installs the R1 irrigation system only the section closest to the resorts. 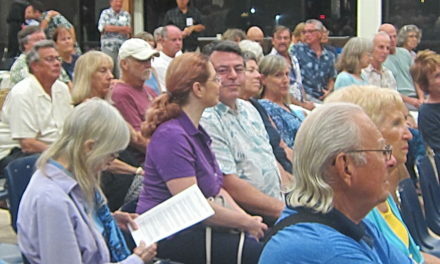 So, the Kihei residents will continue to enjoy the park, their should not be any major disruptions. The only ones getting the disruption will the resort guests and residents, but it will be for less than two months. Your comment about segmentation of closures is most helpful as we have been unable to obtain any clarity of this from anyone at the County on closure. The original notice said entirely– Newspaper article said won’t close– yesterday county sign at park says “Facility Closed July 5- AUG 11” On 6/21 Rod Antone (County) told us Press Release was coming out. We are still awaiting that. It is almost like the administration does not want to communicative clearly . On this forum we see much the opposite. Mahalo. Mike, I am not sure how much digging will be done on the park to install the pipes. 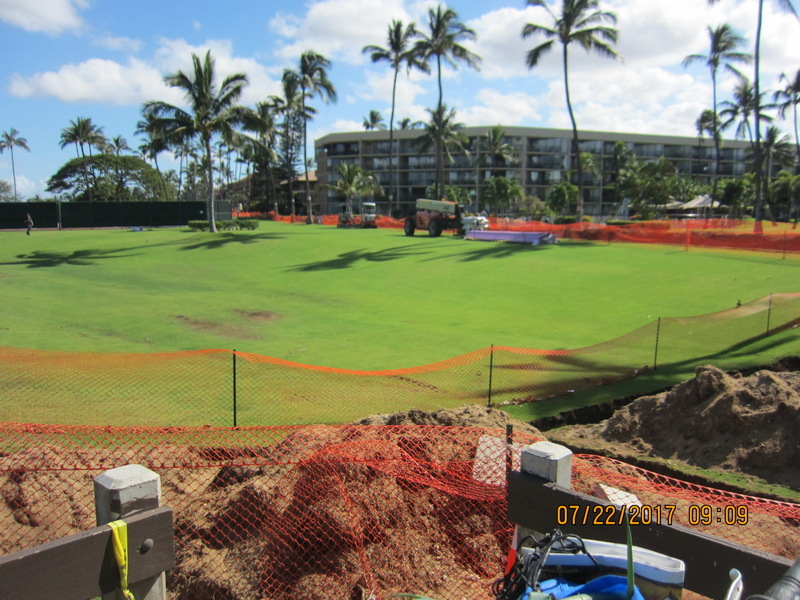 I am hoping they will use the existing irrigation lines previously used by the resort condos and they only need to install the sprinklers, with minimal digging. The hookups are there close to the condos, but I have not seen the plans from Maui County, and don’t know much disruption it will cause. I really don’t know what they plan to do. Sorry for any miscommunication. 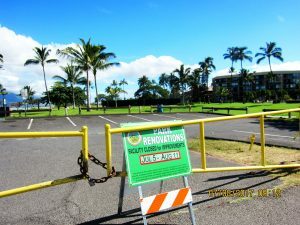 Does anyone know how the public can access the north portion of Waipuilani Park (by Koa Lagoon/Koa Resort) and if there will be public parking available? Mahalo, AB Over the years we have sought interest in an “off leash” So Maui dog park when the Kahului one was first proposed back in 2010 (It opened three years later) and again more recently when upcountry did, but to no avail. Best we can determine, south-side dog guys are content using some parks, like Keonekai and Kenolio as unofficial dog parks as well as the permitted small one at Wailea off Kilohana. And then there are all the beaches.